Our tire expertise is second to none! Stop on by and let us improve your ride. Our certified auto mechanics can conduct quick and efficient diagnoses of your vehicle's brake issues. Once diagnosed, we get you back safely on the road! If you are experiencing transmission problems, bring your vehicle in and let our experts smooth out your ride. 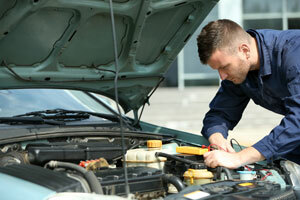 Whether it be maintenance or repair, our engine experts are prepared to take on any job! COME BE A PART OF OUR AUTOMOTIVE TRADITION! - Over 40 years at our current location. As a fully licensed provider of Chevron products, we have the additive and lubricants to meet your vehicle's needs. We offer a range of high quality Amsoil products. Automotive reliability is a main priority for us, which is why we are proud to carry Interstate Batteries. We trust in Interstate, and so should you. European Specialist with diagnostic and electrical experience. We provide service on the manufacturers: BMW, Mercedes, Audi, Volkswagen, Mini, Volvo, Saab, Alpha Romeo, Land Rover, and Jaguar. We are your one-stop service center for complete auto and light truck care from brake service and repair to complex computer diagnostics. As a family-owned and operated certified auto repair and tire service center we use only high-quality replacement parts. Call Rick’s Tire and Chevron to schedule an appointment for auto care and maintenance services by ASE®certified auto mechanics. We offer unsurpassed service, maintenance and quality truck and car repair to keep you safely on the road. 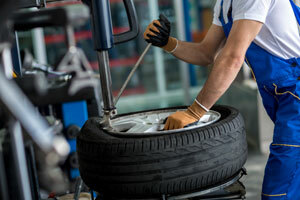 When you need to shop for new tires, set your wheels straight with an alignment, service your brakes or brake system, or diagnose transmission problems, our expert auto mechanics are here to provide the highest level of service. 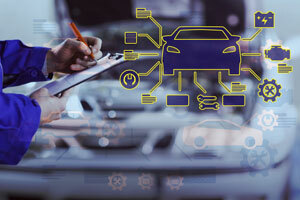 We, along with our entire crew of ASE® certified auto mechanics have built a stellar reputation by serving the community with high-quality repairs and general maintenance services over the past many decades. Call to learn more about our dedication to our valued customers! When the emission system of your vehicle is unable to run cleanly and efficiently in all types of operating conditions, pollutants such as carbon monoxide, unburned hydrocarbons and oxides of nitrogen may be released into the environment. We are an emissions repair facility with State emissions and ASE® certified auto mechanics that can bring your vehicle into compliance with Washington State standards. Waiting to service your car only when something is broken isn’t the best strategy. A smart and cost-effective way of making your car last its longest is by taking care of the little things regularly. Routine oil changes are critical to keep your car running at its best. Your engine’s oil is its lifeblood because it keeps all the parts rotating smoothly and working properly. When your oil is changed regularly, you actually extend your engine’s life. Call Rick’s Tire and Chevron to schedule an oil change service. We are an Amsoil® oil dealer and use complete Chevron® products.